* All fares below were last found on : Apr 19, 2019 1:27:24 AM. Fares are round trip. Fares incl. all fuel surcharges, our service fees and taxes. Displayed fares are based on historical data, are subject to change and cannot be guaranteed at the time of booking. 65% of Akron Canton Airport travelers were over the age of 35. 29% of Akron Canton Airport travelers were over the age of 60. 6% travelers traveled to CAK with kids under the age of 14. 26% of CAK travelers were millennials. 57% of CAK travelers were female. ATL, CLT were the most popular destinations visited by First-Class travelers from CAK. Travelers spent an average of 6.00 days in Akron Canton Airport. 6:00AM - 7:00AM are the busiest hours at CAK. Every week, at least 340 domestic flights and 25 international flights depart from CAK. 377 flights arrive each week at CAK. 377 nonstop flights arrive at CAK each week. The first flight to CAK departs around 6:00AM - 7:00AM. The last flight to CAK departs around 12:00AM - 1:00AM. March was the month with most bookings for CAK airport. December was the month with least bookings for CAK airport. Owned and operated by the Akron Canton Regional Airport Authority, Akron Canton Airport serves Akron, Canton and Massillon. Some of the major airlines offering scheduled passenger services to and from the airport are Delta Airlines, Southwest Airlines, United Express and AirTran Airways. The airport offers daily nonstop service to some of the major destinations including Atlanta, Denver, Charlotte, New York, Orlando, Detroit, Tampa and many more. Book flights to Akron Canton Airport (CAK) with CheapOair! In addition to offering competitive airfares to locations most convenient for you, we provide useful information to inform your travel to CAK. Read below to learn more about CAK flights, and count on CheapOair for the best deals on all of your travel booking needs. Once you land at the Akron Canton Airport it’s easy to find your way to downtown. There are a good number of Ground Transportation options available including Car Rental, Taxicabs, Shuttle Service, and Metro Rail. Some of the top car rental companies operate at the airport including Alamo, Avis, Budget, Enterprise and Hertz. The Akron Canton Airport has a long list of amenities offered to its passengers. The main terminal building has massage chairs throughout the building, where you can relax your way to glory while waiting for your flight. Stay connected with your work and loved ones with the free Wi-Fi offered by the airport or shop for some locally produced food and merchandise at the airport shop. The airport has some of the best restaurants and cafes including Cinnabon, JJ’s Sports Bar, Subway and Grill and many more. 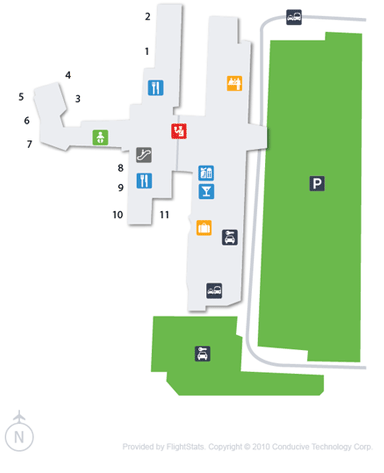 The parking options available at the airport are designed to suit every pocket. 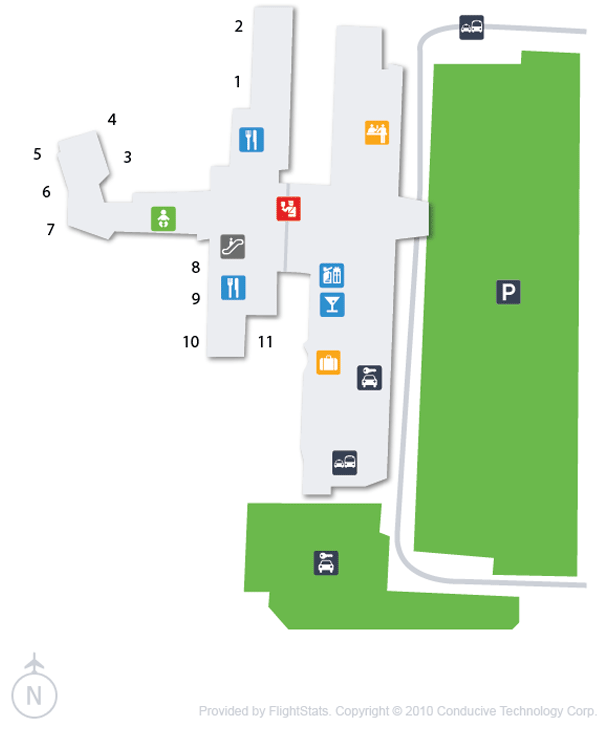 The four parking lots at the airport are handicap accessible, they are well connected to the terminal building with complimentary shuttles and have provision of both Long Term and Economy Lots. If you are here at the airport to pick someone, the Cell Phone Lot is located adjacent to the terminal. Don’t leave your vehicle unattended. Find cheap hotels in Akron-Canton - Lowest rates for all sorts of Akron-Canton hotels!